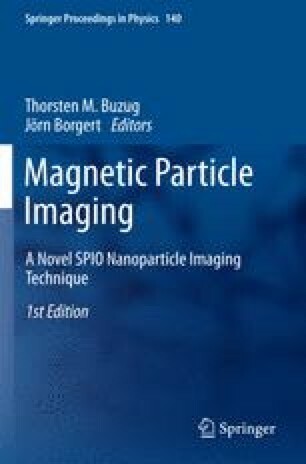 Magnetic Particle Imaging (MPI) is a very recent medical imaging technique providing tomographic data avoiding use of ionizing radiation. The first MPI scanner presented by Gleich and Weizenecker has a closed geometry which has to fit the object of interest . In order to be able to examine larger objects, Sattel et al. developed a new coil configuration, the single-sided MPI scanner geometry . The detection of axillary sentinel lymph nodes is one medical application scenario. MPI improves the surgical procedure by real-time 3D image guidance and may contribute towards reducing cost and the time needs per patient. This contribution presents improvements of various coil topologies. Furthermore, the cooling system is optimized and the send and receive chain will be improved.